and last but not least - the Project Budget. It is the skill with which these unique elements are evaluated and combined that produces a “success”. 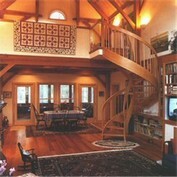 Good design requires that the home be in harmony with its natural setting as well as with the owner’s aspirations. Good architectural guidance to achieve this “custom” goal has long been considered as an expense that many could simply not afford. 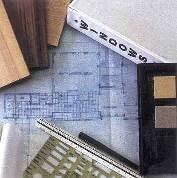 ‘Stock’ plans from plan books, although inexpensive, can rarely solve the conditions and unique features of each individual owner’s lot and design requirements. At the same time, the industry standard “per square foot” cost formulas can hardly approximate the actual costs and finish specifications of any individual project. Too often homeowners go through the complete design process only to find that the house is well beyond their ability to afford the outcome. It is against this backdrop of desiring an appropriate “custom” design while requiring a specific budget outcome that Tech Houses, Inc offers a solution to the prospective homeowner: An extraordinary design and budget consultation*… without a consultation fee. 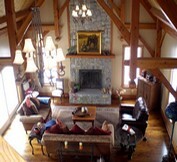 After an initial discussion of all of your design requirements, a review of your lot, and an understanding of your budget expectations Tech Houses will respond with a conceptual floorplan and elevation and an initial budget estimate that is tailored specifically to your own unique requirements and design ideas. This will allow you to receive a good working insight into how your design ideas can be professionally developed into a workable and appropriately budgeted plan. This will also allow you to establish a specification list and cost figures that are keyed into a specific design. Let Techbuilt put its knowledge and experience to work throughout the building process as we create a masterful custom home just for you. In some cases we must reserve the right to decline this offer if at Tech Houses, Inc. own discretion, the expectations and the budget requirements of the home owner are incompatible. © Copyright 2004-2014 TekHouses, Inc. All rights reserved.